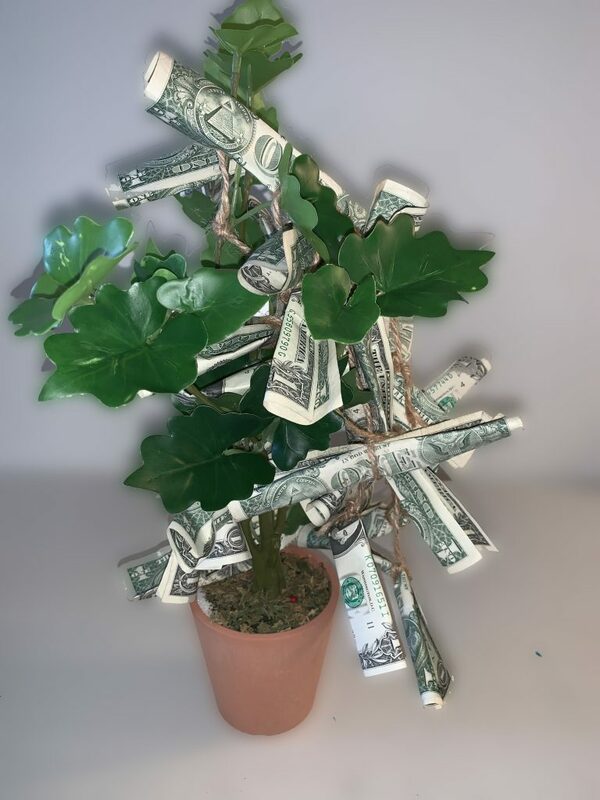 You are here: Home / Affirmation / Thank you for the money tree. Rarely am I flummoxed for what to say; but as I looked into the bag, I could see dollar bills wrapped round the branches of a plastic “tree.” I looked back to her. Between you and me, there’s maybe $20 attached to the tree, but it is one of the most precious gifts I’ve ever received.